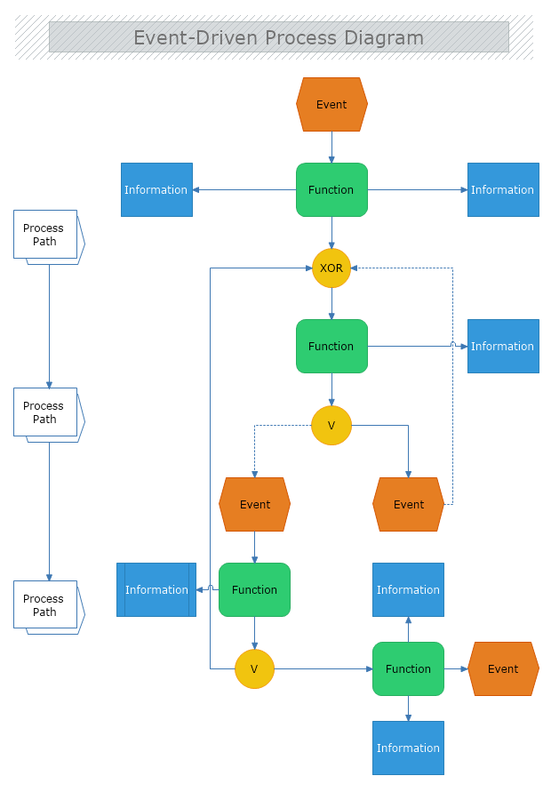 This event-driven process diagram (also called event-driven process chain, or EPC diagram) demonstrates the most basic function of this type of diagrams: to visually represent a business process. It contains most of the typical for EPC diagrams shapes including Information shape, the Function shape, the Event shape and others. MyDraw comes with a predefined library with the shapes to create any EPC diagram you need.